Above: A historic home with good architectural "bones" can accommodate many different styles. Whether you’ve just purchased a “fixer-upper with vintage charm,” or you’re considering changes to a house that’s been in the family for generations, historic renovation projects come with their own unique set of challenges and opportunities. Remodeling a historic home requires commitment. First, stabilize any past errors or rotted out walls and structures. Then tackle the items that will prevent future damage such as the roofing, windows, and masonry. Once the groundwork is done, the fun part can begin. Here are three things to keep in mind as you embark on your historic renovation. Knowing about the architect of your vintage home and the neighborhood’s history aren’t just fun factors in a historic renovation — they can reveal important details about the project to come. For example, during a recent kitchen restoration project, the Neil Kelly team found older ceramic countertops beneath the existing counters, and workers found black cap tiles in the walls. These classic materials were reproduced and added to the new kitchen’s design. 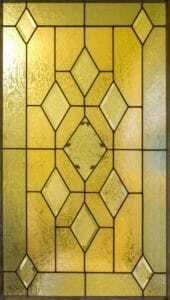 Above: Details such as this art glass window need to be carefully preserved as the rest of the house is being updated. 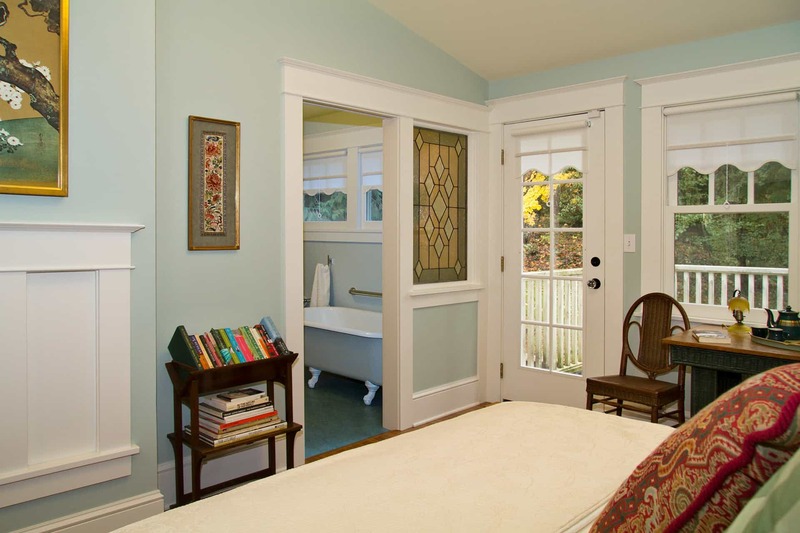 Older homes can keep some big secrets in their walls. Not all homes will need deep retrofits, but homeowners should be aware that the longer a house has been standing, the greater the likelihood that structures have worn out or that old repairs may come back to haunt them. Neil Kelly does a job site walkthrough once the design and materials are all set, and helps plan for worst-case scenarios when needed. “We make sure clients understand that if there are things hidden in the wall, it could mean additional labor and material,” says Richmond. She recalls a project early in her career on a 1908 home when the team discovered that a demolished wall completely lacked a header across it — something that all walls should have. “As much as possible we try to give clients forewarning of issues if we have any doubts,” says Richmond, but some homes are still full of surprises. There are many ways to create a period look, even an authentic look, and still make it work for today’s lifestyle. Many Neil Kelly clients choose a historic renovation because they love the history, architecture and neighborhood around it. But that doesn’t mean that a specific style of home can’t be renovated to match another era entirely. Neil Kelly can renovate a home to preserve much of its original looks while updating the interior aesthetic. A recent client of Richmond’s grew up in Europe and had a large collection of beautiful antiques. But when the client moved to the Northwest, they fell in love with a modern mid-century house in Vancouver, Wash. The challenge was tying the old school with the new school—for instance, could older antiques mesh with the modern look of the home? Absolutely. “We took out a wall to make a bigger kitchen, and incorporated some antique tiles from Spain that the homeowners brought back from a recent visit. Overall, the exterior maintains its mid-century flair, but pairs well with the traditional feel of the home’s interior spaces,” says Richmond. Owning a historic home is a unique experience and can be a lot of fun for homeowners, from collecting old photos of the home to finding antique door knobs at a second-hand shop. If you’re considering going deeper and renovating, Neil Kelly can provide expertise and knowledge for homes of all ages. Get in touch! ← What Can Smart Home Technology Do For You?